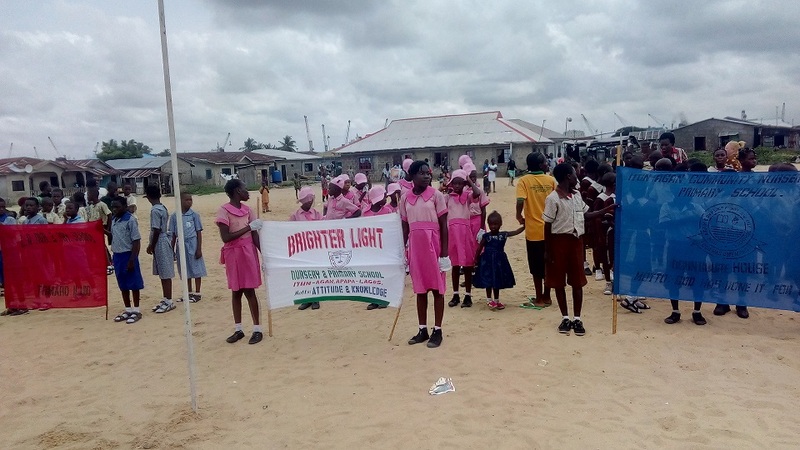 Onisiwo Island, host community to Integrated Oil and Gas Ltd new project,t has expressed appreciation to the company for giving its children a special celebration package to mark the 2016 Children’s Day in the community. Speaking at the event, Chief Lot Ikuesan, the Baale of Itun-agan, the biggest community in the island, said the 2016 celebration was the most colourful and the best ever. He attributed this to the presence of Integrated Oil & Gas which decided to make the celebration special for the children, describing the company’s gesture as unprecedented and one that no company in the entire Onisowo Island had ever done until now. The Baale said that was a sign of good things to come, as the Island eagerly awaits the take-off of the company’s planned projects on the island. He added that Integrated Oil & Gas has planned to develop the Island and bring basic social amenities to the neglected communities, and also to see that children of the island get gainfully employed. He thanked the company for the gesture and urged all those working on the Integrated Oil & Gas modular refinery to expedite action in order to ensure prompt take off the project. The children’s day celebration was fun as 14 nursery and primary schools, including a junior secondary school took part in a march-past and several cultural activities at the Green Pasture Private School field Itun-agan. Earlier, Mr Henry Konyeaso, Special Assistant to the Chairman of Integrated Oil & Gas, Capt. Emmanuel Ihenacho, while delivering the chairman’s goodwill message to the children expressed the pleasure of the company to be present on the special occasion celebrating children. He commended Itun-agan and all the other communities on the island for their confidence in Integrated Oil & Gas and their strong support for the development projects the company had planned to bring to the island. The Head of Human Resources/Administration, Integrated Oil & Gas, Mrs Harriet Akano, took the salute on the march-past event.